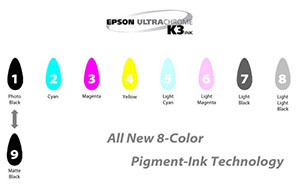 It is now about 3 years that Epson intorduced it's Ultrachrome Ink printers. 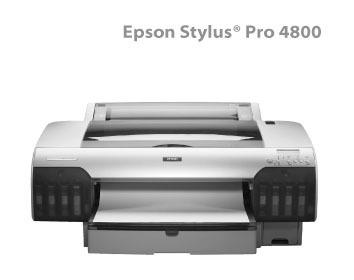 First the consumer 13" Epson Stylus 2200, then the 7600/9600 Pro machines and finally in 2004 the 17" 4000. 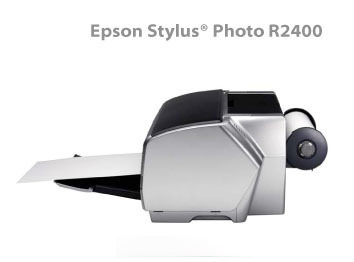 So it is no real surprise that Epson announces a new line of printers that are based on a modified new ink set. This time all four sizes are announced at the same time (even if the 7800/9800 will ship later than the R2400 and 4800. 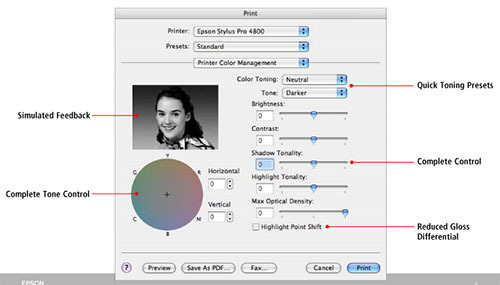 The new inkset includes 3 blacks (that is why it is called K3). There is a new Light Light Black in addition to the Black and Light Black. Both are very welcome properties. This seems to be the first Epson ink set that will allow B&W and Color form the same inks and from the Epson drivers. 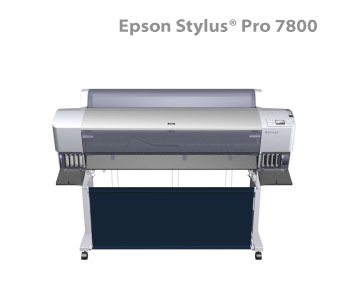 Note: The cartridges of the 4800 cannot be used on the 7800/9800 printers as the 7800/9800 cartridges are pressurized to keep the ink flowing fast enough to the print head because the wider format designs require the ink to travel a longer distance through the tubes from the cartridge to the head. The 4800's smaller design doesn't need the pressurized system. 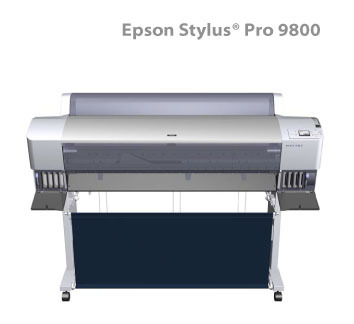 We hope to receive soon one of these printers to share our experience with our readers. Clearly a line of printers to watch.